select *, DATE_FORMAT(birthday, "%b %e, %Y") as _birthday, DATE_FORMAT(died, "%b %e, %Y") as _died, MONTH(birthday) as month_birth, DAY(birthday) as day_birth, DATE_FORMAT(birthday, "%b %e") as _birth_day_month from agatti_people where agatti_people.u_name = "olivia-de-havilland"
Shares birthday with William Wyler, Farley Granger, Charles Laughton see more.. Legendary actress, Olivia de Havilland, was born Olivia Mary de Havilland on Jul 1, 1916 in Tokyo, Japan. de Havilland appeared in over 55 film and TV roles. 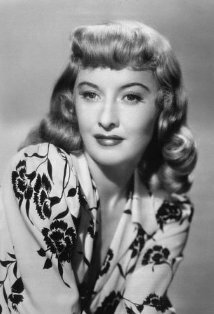 Her best known films include Gone with the Wind, Captain Blood, The Adventures of Robin Hood, The Heiress, The Charge of the Light Brigade, They Died with Their Boots On and The Strawberry Blonde. As of December 2018, Olivia de Havilland was 102 years old. Olivia Mary de Havilland was born on July 1st, 1916 in Tokyo, Japan to British born parents. Her father, Walter, was a professor at the Imperial University in Tokyo who later became a lawyer. 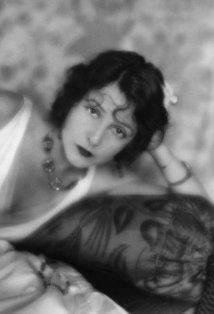 Her mother, Lilian, was a stage actress who gave up her dreams of the theatre to marry and follow her husband to Tokyo. Despite her abandonment of her own acting ambitions, she still installed a love for the arts and performance into her daughters at a young age. Due to Walter's frequent infidelities, the de Haviland marriage was not happy and already strained when they welcomed their next child, fellow future actress, Joan, into the world in 1917. Two years later Lillian suggested the family move back to England for the good of their daughter's health. Before they could make it back to England, their travels were halted in California to treat Olivia's bronchitis. Thanks to the high temperatures and moderate weather, Lillian and her daughters decided to stay and settle in a small town just south of San Francisco. Soon after the de Havilland marriage would dissolve and Walter would return to Japan. The de Havilland family, now consisting of just Lilian, Olivia, Joan, and their step-father George, remained in Saratoga, California for next decade. The sisters attended Los Gatos High School where Olivia began participating her schools staged productions. In 1933 she made her amateur stage debut at the age of 17 in the Saratoga Community Players production of Alice in Wonderland playing the lead role of Alice. 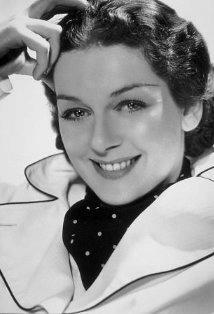 She continued to pursue acting after graduating 1934. She remained with the Saratoga Community Players, playing Puck in the theater's production of A Midsummer Night's Dream. 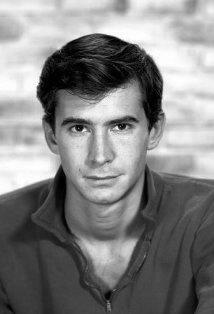 Soon after she was noticed by director Max Reinhardt who asked the young actress to play the role of Hermia. The performance was met with positive reviews. When Reinhardt was asked to direct the Warner Brothers adaption of A Midsummer Night's Dream, he brought the 18-year old de Havilland with him. Upon her arrival at Warner Brothers, de Havilland signed a seven-year contract with the studio and immediately began on her debut film, A Midsummer Night's Dream. Although the film was disappointment in terms of both box-office gains and trade-paper praises, de Havilland was often singled out for her performance of Hermia as one of the film's highlights. 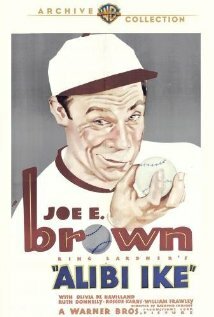 For her next film she was cast opposite Joe E. Brown in the baseball comedy Alibi Ike. Although A Midsummer Night's Dream was de Havilland's film debut, Alibi Ike was released for wide distribution first, thus marking it as the first film that introduced de Havilland to the movie going audience. It received little fanfare at the box office. Her next film, 1935's The Irish in Us opposite James Cagney, received similar treatment. 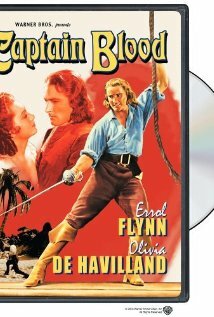 At the end of 1935 Warner Brother's cast the young actress opposite their newest acquisition, the little known Tasmanian actor Errol Flynn in the swashbuckling adventure film Captain Blood. The film was a hefty risk for Warner Brothers, as the studio was casting two relative unknowns as the starring role in a major, large budget motion picture. The gamble, however, paid off immensely. The film was well reviewed by the critics and major box office success. Thanks to his performance as the cocksure, charismatic titular role of Captain Peter Blood, Flynn became an instant star and de Havilland's role as the aristocratic beauty eventually saved by the pirate Captain Blood solidified her screen persona as the kindly and refined ingenue, a screen image she would grow to resent later in her career. Due to the success of Captain Blood and the positive critical response to the pairing, the duo would star in total of eight films together. Their next collaboration occurred less than year later with the Michael Curtiz historical adventure film The Charge of the Light Brigade. Although de Havilland was able to stretch her comedic muscles in 1936's Anthony Adverse and 1937's The Great Garrick, most of de Havilland's success came from he work with Flynn. 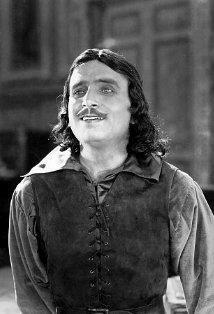 In 1938 the two starred in their most popular pairing, The Adventures of Robin Hood. 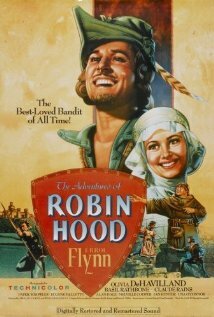 In the film, de Havilland once again became the Flynn's desires as the famed ingenue of folklore, Maid Marian. The film was the most expensive of Warner Brother's studios had made to date and went on to become the second highest grossing of the year. Although de Havilland's talent as an actress was acknowledged by both the critics and box office results, Warner Brothers kept de Havilland in the roles of ingenue and refused to offer her the more dramatic roles she desired. It was not until she was cast in the David O' Selznick epic production of Gone With the Wind that de Havilland was finally able to show her prowess as a dramatic actress. In the film de Havilland played the kindly and gentle Melanie Wilkes, cinematic foil to the films fiery and fierce leading lady, Scarlett O' Hara. The Civil War-era epic was massive hit, becoming the highest grossing film all of time up to that point and received generally positive reviews from the critics. It would go gain thirteen Oscar nominations, including Best Supporting Actress for Olivia de Havilland, the first nomination of her career. The film would walk away with ten Awards, including Best Picture, Best Director, Best Actress and Best Supporting Actress, not for de Havilland, however, but her co-star Hattie McDaniel. Despite her success with Gone With the Wind, De Havilland was still offered less than substantial roles at Warner Brothers. Although they cast her in the dramatic period piece The Private Lives of Elizabeth and Essex, her role was still that of a demure ingenue. 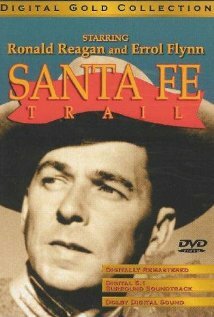 In 1941 she paired with Flynn for their final film together, the highly mythicized account of General Custer's last stand, They Died with Their Boots On. That year she was loaned out for the Paramount romantic comedy film Hold Back the Dawn opposite Charles Boyer and Paulette Goddard. For her efforts, she was nominated for a Best Actress Academy Award. She would lose out that year to her sister, Joan Fontaine, causing even more friction in their caustic relationship. In 1941, de Havilland's contract with Warner Brother's expired. However, Warner Brothers informed the actress that she still six more months at the company thanks to her previous suspensions. 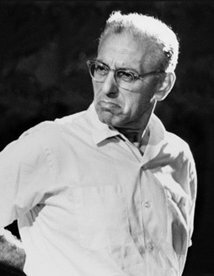 At that time, studios had a clause in their contracts that stated they were allowed to suspend any actor due to either refusal to take a certain role or generally uncooperative behavior and add that period of suspension onto the end of their contract period. While most actors accepted the terms, some, such as Bette Davis, had failed in their legal attempts to change the system. Despite past failures, de Havilland decided to sue the studio for breach of contract and with the weight of the Screen Actors Guild behind her, won the case. The victory was one of the most important legal decisions in Hollywood history, taking away significant power from Studios and giving their contract plays more control over the fate of their careers. The ruling is still referred to as "de Havilland Law." 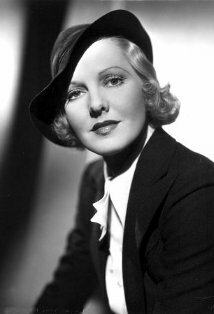 Despite the respect and appreciation she gained from her fellow actors for her victory, Warner brothers made sure the other major studio's blacklisted the actress, thus she did not work for two years. When de Havilland finally returned to silver screen, it was in the 1946 Paramount Studios drama To Each His Own. In the film de Havilland plays an unwed mother who is forced to watch her son grow from a distance. For the role de Havilland took home her first Oscar for Best Supporting Actress. In 1948 de Havilland starred in the groundbreaking The Snake Pit, one of the first films to tackle the taboo subject of mental illness, acting an expose for the horrid conditions of mental hospitals. de Havilland was praised for her role as women committed to one such asylum. For throwing herself into such an unglamorous and grim role, the Academy Awarded her with nominated Best Actress nomination. The next year de Havilland would prove her worth as a dramatic actress once again with the William Wyler drama The Heiress opposite Montgomery Clift. The film chronicles the romance of plain, shy fortune heiress, Catherine Sloper to charming gold-digger Morris Townsend, played by Clift. The film was modest success at the box office and received nearly universally positive reviews. For her efforts, she received her second Academy Award for Best Actress. Although De Havilland experienced great professional success in the 1940s,her career began to slow by the following decade. This was partly due to Hollywood's changing taste for more youth orientated films as well as her own distaste for the industries' changing attitude towards censorship. 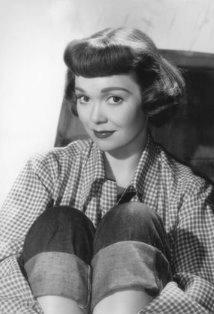 She appeared in relatively few films in the 1950s My Cousin Rachel, The Ambassador's Daughter, The Proud Rebel and Libel. In the 1960s she appeared in two gothic horror films, Lady in a Cage and Hush, Hush...Sweet Charlotte opposite Bette Davis and Joseph Cotton. She continued to appear sporadically on the big screen for the next twenty years, with some of her highlights being 1972's Pope Joan and the 1977 disaster flick Airport '77. 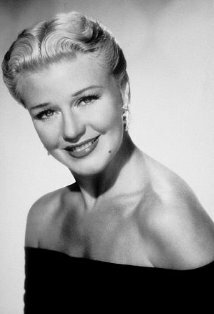 By the mid-1960 and into the 80s, she began appearing television in shows such as The Big Valley, The Danny Thomas Hour and an Emmy nominated turn in the 1986 mini-series Anastasia: The Mystery of Anna. Her final screen performance was the in the 1988 TV movie, The Woman He Loved. Since then, de Havilland has enjoyed a quiet retirement in France. She does still make the occasional public appearance, as rare as they may be. In 2003 she was a presenter at the 75th Annual Academy Awards ceremony and in 2008 she received the National Medal of Arts presented to her by former President George W. Bush. In 2010 she was also appointed a chevalier of the Legion d'honneur, in France, which was award by yet another head of state, President Nicolas Sarkozy. As of now, she lives life in Paris and is reported to have been working on her autobiography. Olivia de Havilland was nominated for five Academy Awards, winning two for Best Actress for To Each His Own (as Jody Norris) and The Heiress (as Catherine Sloper) in 1946 and 1949 respectively. 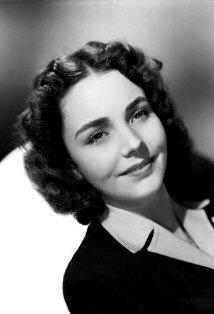 She was honored with one star on the Hollywood Walk of Fame in the category of Motion Pictures. Olivia de Havilland's handprints and footprints were 'set in stone' at Grauman's Chinese Theater during imprint ceremony #100 on Dec 9, 1952. Biff Grimes: I uh, I guess a little kiss is harmless if it's all in fun. Amy Lind: Even if it isn't in fun. Biff Grimes: You mean - -? Biff Grimes: Well, wouldn't you like a nice, young man to marry you someday? Amy Lind: No, not particularly. Biff Grimes: So you don't believe in the institution of marriage! Amy Lind: An outmoded, silly convention started by the cavemen and encouraged by the florists and jewelers. After all, what's marriage? Biff Grimes: Wouldn't you like to have a home and kids? Catherine Sloper: He must come, he must take me away, he must love me, he must. Morris will love me - for all those who didn't. Marcia West: This is Miss Kane. Gracie Kane: I know you, you wear blue polka-dot shorts! Marcia West: Are there no reformatories in California? Olivia de Havilland is the elder sister of actress Joan Fontaine.